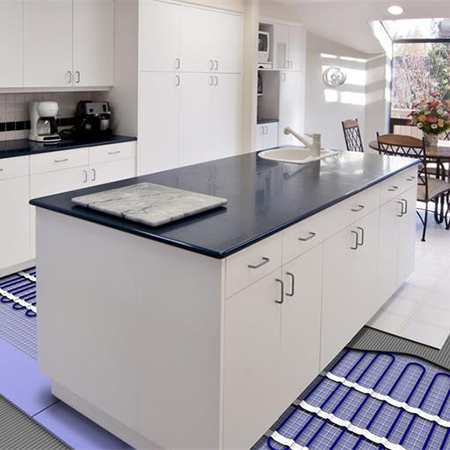 Increasingly more popular year by year, people are opting to buy electric underfloor heating to warm their homes. 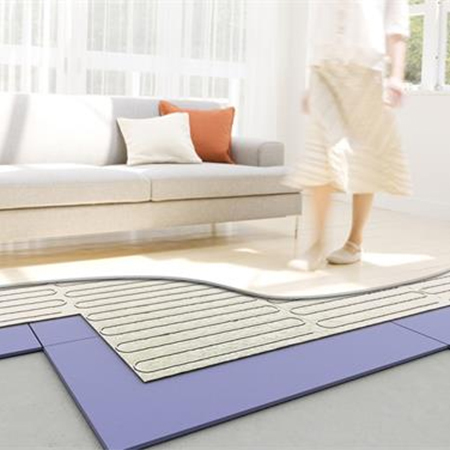 It may initially seem daunting to consider installing an electric underfloor heating system into your property, but installation is surprisingly simple. 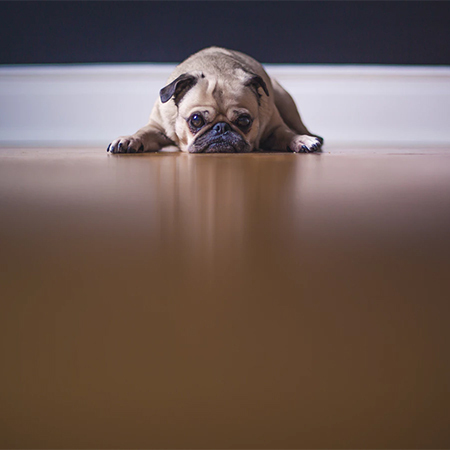 All over the UK, particularly in existing properties, electric underfloor heating is installed easily without requiring any serious construction work. 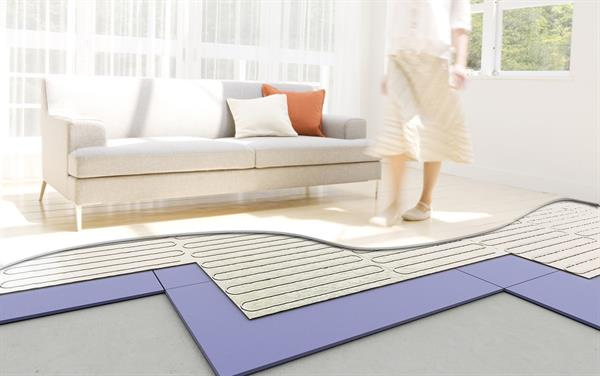 An electric underfloor heating installation project uses a series of cables or underfloor heating mats that run beneath your flooring surface. 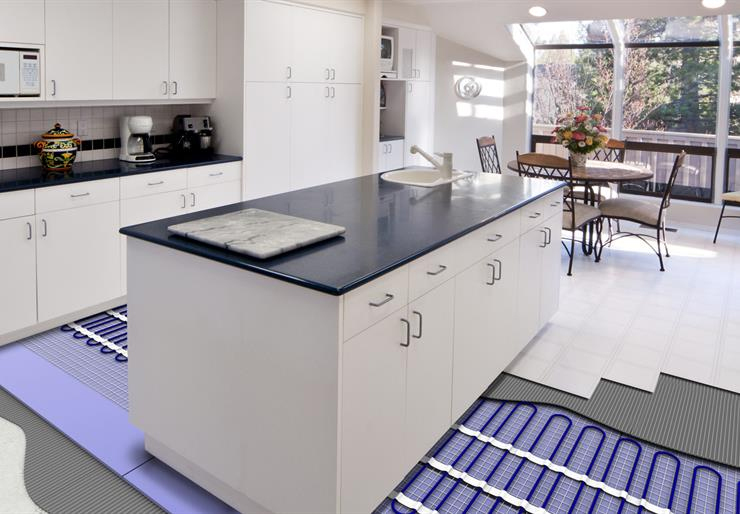 It’s recommended to use floor heating insulation beneath the heating elements in order to reflect the most heat efficiently upwards while it is being produced. A loose wire installation gives you the freedom to tailor the system to fit your room perfectly, especially for unusually shaped spaces. The more usual method is to use the pre-wired heating mats. Underfloor heating distributes heat evenly which makes it perfect for home extensions as well as kitchen, conservatory and bathroom refurbishment projects. It’s also a great space-saver removing the need for traditional wall-hung radiators. If feel unsure about installing electric underfloor heating you should discuss your requirements with professionals - if in doubt it is always best to speak with the experts. For an existing property, an underfloor heating specialist will charge on average around £200 per day with individual rooms being completed in around a day. The typical overall cost of installing a good quality system with insulation board beneath in an average conservatory would be around £700. 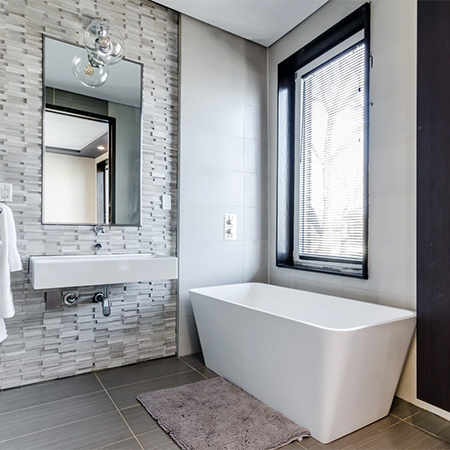 A whole house renovation project with under tile mats would typically require 4-6 day’s work at a budget cost of £2500-£4000. Ambient are always available to advise with any electric underfloor heating project, so if you have any questions, get in touch with one of their experts for a free, friendly consultation.